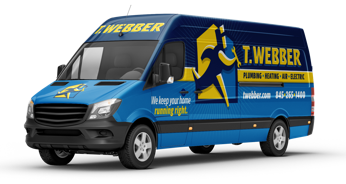 Electrical Safety Inspections & Code Corrections - T.Webber Plumbing, Heating, Air & Electric. Whether you’re in the process of purchasing a home or for peace of mind that your current property’s electric system is code compliant and operating safely, T.Webber can assist with an electrical safety inspection performed by one of our licensed and insured electricians. Electrical safety should be a top priority in your home or business. Awareness of electrical hazards is the key to reducing the staggering number of electrically-related home fires, injuries, and deaths that occur every year. According to the National Fire Protection Association (NFPA), electrical failures or malfunctions were factors in an estimated 43,700 home fires in 2011. These fires caused 430 deaths, 1,620 injuries, and $1.5 billion in property damage. In half of the fires started by electrical failures or malfunctions, some type of electrical distribution or lighting equipment was involved in ignition. During an electrical safety inspection, our licensed Electrical Technicians will provide a thorough examination of your electrical system, ensuring all electrical wires, systems, and components meet legal safety standards. If during the electrical safety inspection our Electricians uncover any electrical systems that are not to code, we will present you with options and pricing for code corrections. Our Electrical technicians are licensed and insured throughout the Hudson Valley, including Dutchess, Putnam, Westchester, Orange & Ulster County.